New fiber systems that are coming into the Middle East and Africa are as much a threat as an opportunity to data side of the satellite industry, claims Luxembourg-based satellite giant SES. 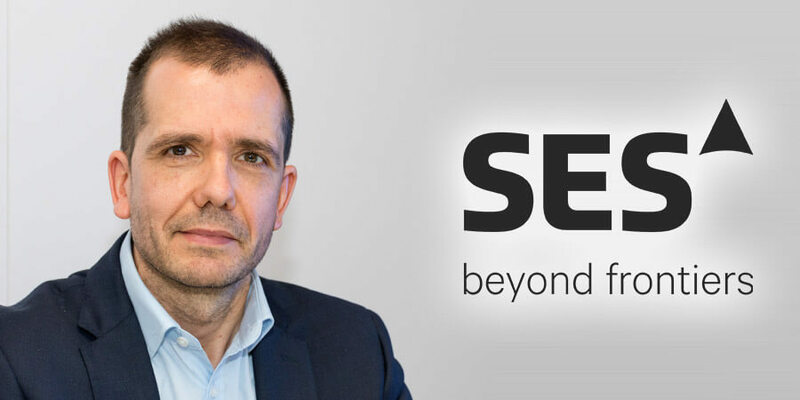 Speaking to Telecom Review, Vice President, EMEA Fixed Data Sales at SES Networks, Simon Gatty Saunt said fiber roll-out has actually positively impacted SES's GEO and MEO deployments in the region. Mr. Saunt touched on other challenges facing the satellite industry today and also touted SES's move to create two business units last year. As the VP of the Fixed Data side of SES Networks, can you update us on SES? The company has obviously undergone a significant change. How has that affected sales? Has the transition resulted in positive results in the EMEA region? It's been very positive. SES Network offers truly differentiated service from all the other satellite operators as we have geostationary (GEO) and medium earth orbit (MEO) satellite constellations. We're seeing more and more customers actually combining the two technologies together into their networks, and viewing SES Networks as a one-stop shop. For example, we're working with a number of telcos across the Middle East and Africa where they're using both the MEO fibre-like connectivity solutions for 4G networks and traditional GEO for filling in some of the domestic cellular backhaul business within the countries. 2017 has been a very positive year, and I do firmly believe that our success is down to our decision to combine these two companies together. What would you identify as being some of the major challenges currently facing the satellite industry? There are two main challenges our industry faces at the minute. One of them is the amount of new fiber systems that are coming into the Middle East and African region. While it may pose a threat in some cases, we've actually seen a big uptake of capacity in countries which have had new submarine fiber cables going into them. What you tend to find is that the main cities are very well connected, but then when you go outside of the main cities the connectivity isn't the same. These cities obviously want the same levels of connectivity that are prevalent in the capital cities and therefore we're finding a nice elasticity effect of the fibers coming in which is increasing the demand in the rest of the countries. The other area of concern is the pricing of satellite capacity. It means now that in a lot of cases it is becoming commoditized. What SES Networks is actively pursuing is to see how we can add value added services on the back of our satellite capacity. Whenever needed, we will offer end-to-end managed solutions which include the IP, the teleport part and the satellite connection and also the integration on the remote side as well. This is very much where SES Network is taking our business into 2018 and 2019. You recently announced a strategic agreement with CETel. Can you tell us more about this collaboration and outline to us what benefits the partnership will entail? CETel has been a very important customer for SES for the last 12 years. They started off on the geostationary front providing mainly space capacity which they uplink themselves from their teleport near Cologne, Germany, across Africa and the Middle East. This particular announcement is for O3B MEO services for two exploration and production sites in Africa. We're providing 100MB into each site. For us this has been a very important vertical market in 2017, as we've seen a lot of growth in the mining sector, particularly on our O3B MEO fleet. We have closed a number of similar deals last year, some of it directly to the mines and others through service providers as well. Mining is really taking off for us in a big way. Those mining sites were all traditionally served by GEO satellites with small amounts of bandwidth. With high throughput low-latency MEO services, mining sites are able to scale up the bandwidth to run a lot of data-intensive services, such as Microsoft Azure fleet, Office 365 and SAP. Can you outline to us your primary objectives and aims for 2018? Over the next six months, we are launching seven satellites, six of which are either high throughput satellites (HTS) or have HTS capabilities. We've got a new batch of O3b MEO satellites which are going up in March. This will provide a number of additional beams across the Middle East region which is needed because it's been very successful in terms of the current constellation we've got. We're getting to a stage without the new ones coming along where we wouldn't be able to grow anymore, so it's a perfect time for these new launches. We will also be launching SES-12 later. The satellite covers the entirety of the Middle East and Turkey with both wide beams and HTS spot beams. Our big objective is therefore to inform our key customers and partners that we've got this additional differentiated capacity coming and understand how their business needs can be best met via our multi-band multi-orbit connectivity solutions. I'm focused with fixed data customers which are telco's, MNOs and service providers, but also from a wider SES Networks perspective, we are seeing strong demand across all vertical markets (aero and mobility) across the Middle East region. We're also focused on the government side of things which is another very important area for us in the Middle East region. We want to provide connectivity to all our government clients.